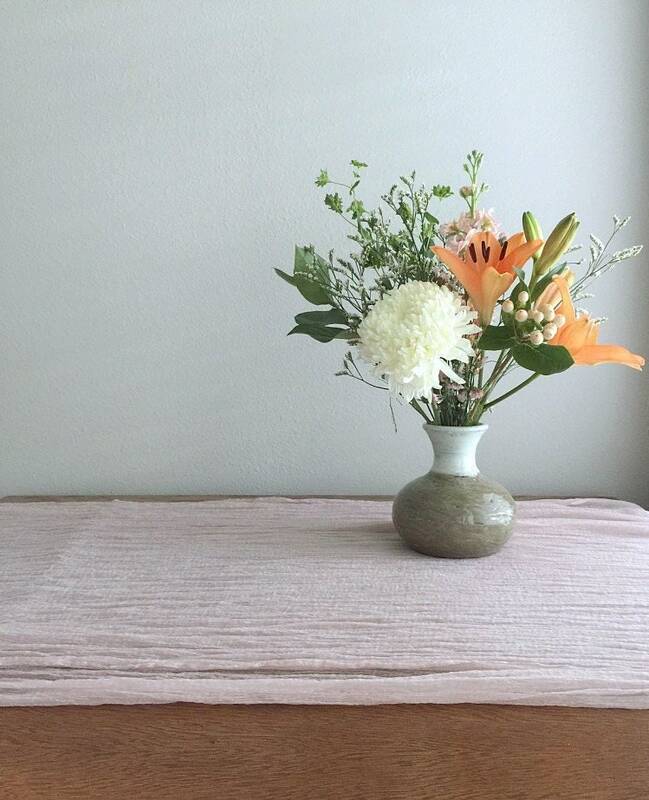 SALE Blush Pink Plant Dyed Silk Table Runner, 9 feet x 27"
50% off sale, regular price $90. 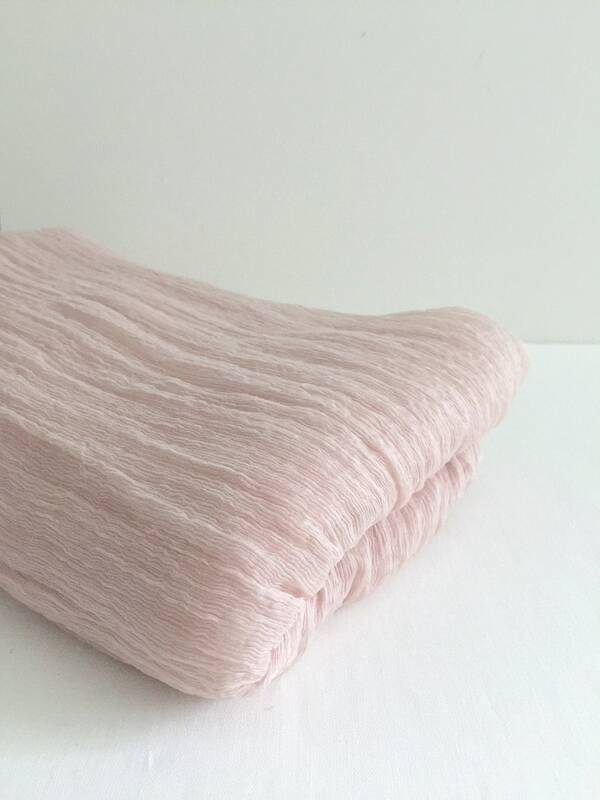 Blush pink silk table runner with a soft crinkle texture. 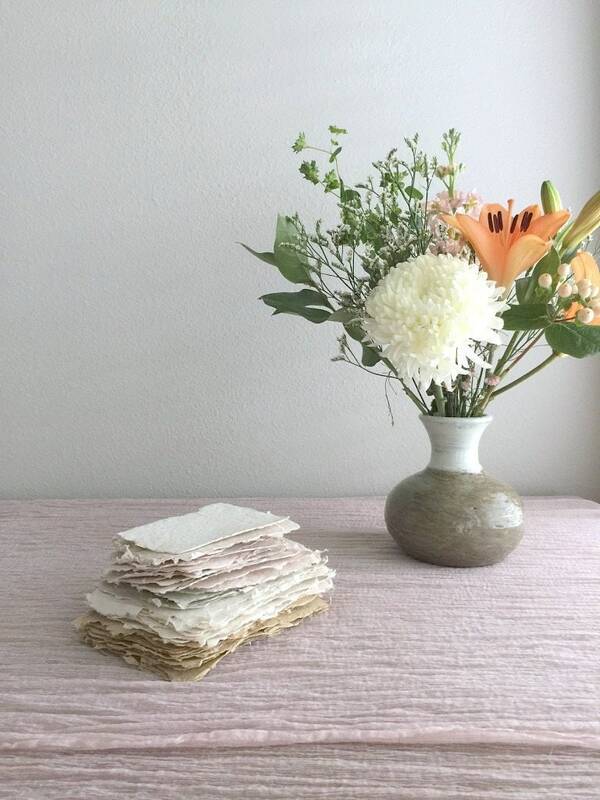 NOTE: handmade paper, and props pictured are NOT included, only silk runner. 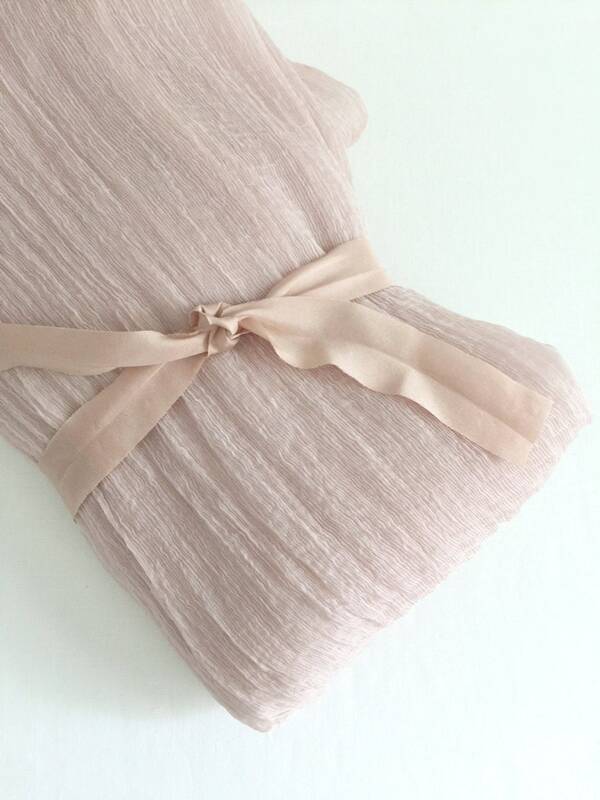 This silk is sheer and the color is matte. Naturally dyed in my studio using plant dyes. Edges are raw for an organic look. Measures 27" wide x 9 feet long. Also perfect as a prop for photography styling details and cake table. Every step is slow crafted by hand in my studio. From hand dyeing silk using natural dyes from flowers, roots, foliage, nuts, fruits, and woods embracing imperfection to lightly pressing for a natural texture. You are buying a "living color" that may appear to change depending on the lighting. The silk may have marbling and speckles from the natural dyeing process. 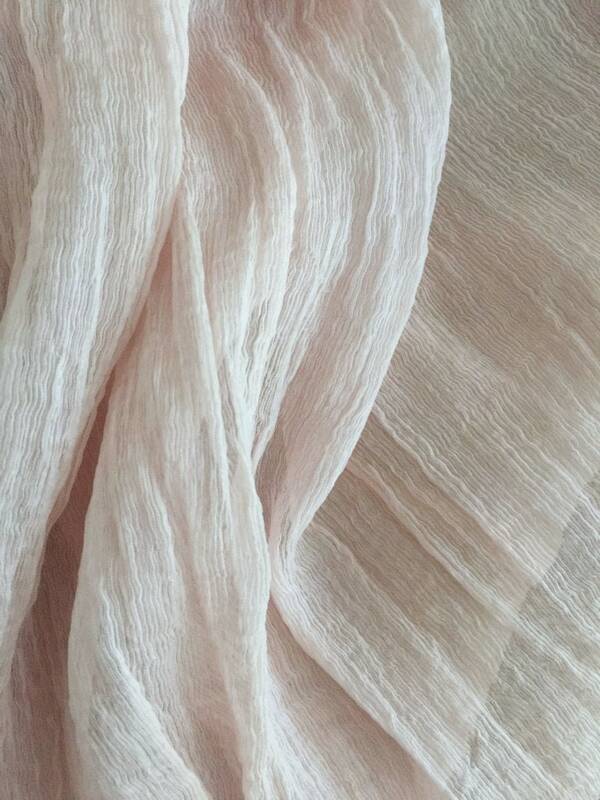 Crinkle sheer silk with raw edges. Hand wash with pH neutral soap, natural dyed colors are effected by a change in pH. Air dry. Iron on medium-high setting. Dry floral stems before styling flowers, plant food will react to the silk color.